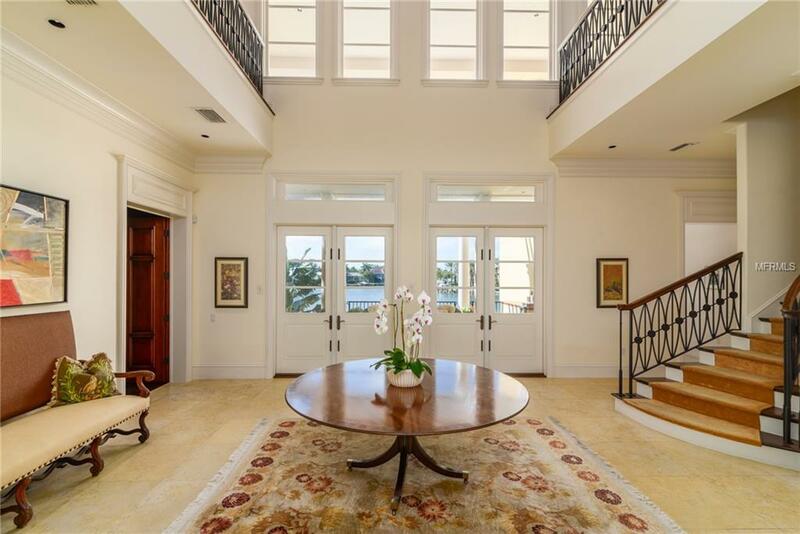 Ideally situated on deep boating water in one of Sarasotas most desirable neighborhoods, Harbor Acres, this stunning 4 bedroom, 4 bathroom residence is one to be desired. 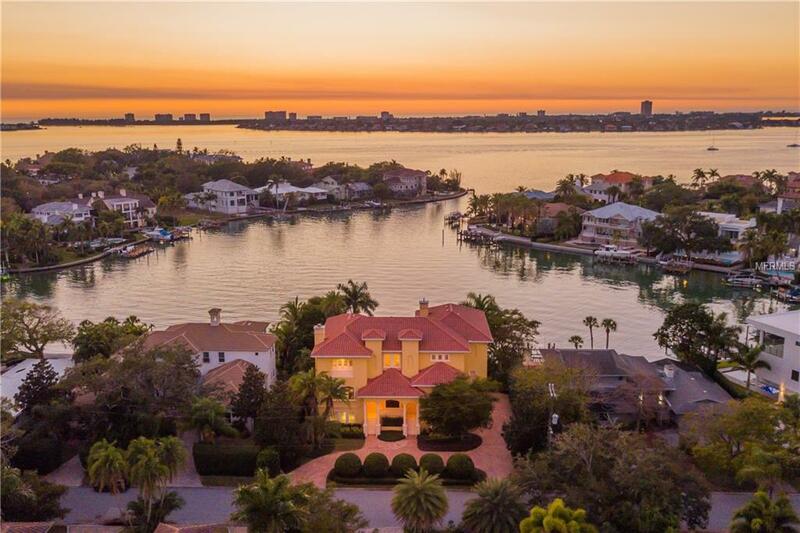 Positioned for awe-inspiring views of sailboats and sunsets, this home spans over 6,700 square feet of exquisitely detailed living space finished with Jerusalem quarry tile, walnut floors, and crown molding throughout. Built like a fortress, this 2002 custom home was constructed with concrete up to the third floor, solid block concrete walls, solid core doors, impact windows up to 150 mph winds, giving you peace of mind in trying times. Soaring ceilings and spacious rooms from the grand library to the formal family room the residence was specifically designed for opulent living. Unleash your inner epicure in the chef inspired kitchen, appointed with Wolf 8 burner plus griddle gas range, double gas ovens, two refrigerators, expansive island, and butlers pantry. With 1,100 bottle wine room, you can keep your private collection close at hand. Enjoy your very own classic home office offering ample storage with custom cabinetry and gorgeous walnut floors. A heated pool and spa overlook one of the worlds most beautiful Bays, while deep water dock with 14,000 lb. lift is poised with no bridges to the open water a true boaters dream.